Learning Experience – The Wild and Wacky Electoral College | AMERICAN HISTORY RULES! You read about the roles of the President and saw all of the benefits the President receives … but how does a person get that job with the cool White House? The Electoral College, of course – one of the most confusing parts of the American political system. The system is set up in Article II of the Constitution (you read it, right? ), and we will examine it in detail in our next class. YOUR TARGET – I can explain and evaluate the presidential election process. 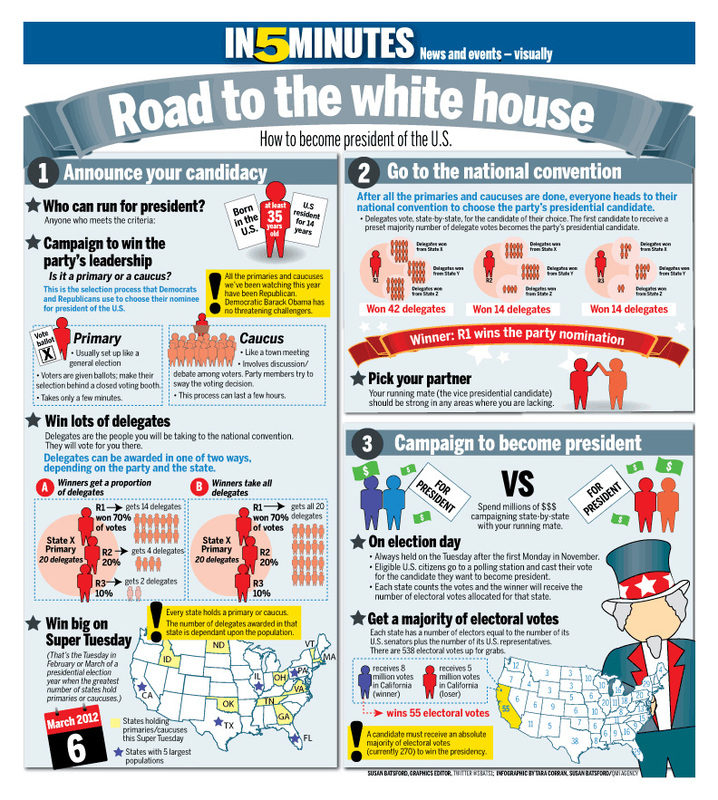 Check out the road to the White House using the Road to the White House in Five Minutes infographic and/or the How to Become President of the United States Poster. These should give you an idea of how someone “throws the hat into the ring” and becomes a candidate for the Presidency. Once you get the idea, move to the next step! Front load your brain on the Electoral College by taking some notes (Electoral College Notes) about the Electoral College using the sweet video below or at this link. Watch one, two or more of these videos to get a general idea on the Electoral College (each video has its own bias). As you watch, come up with some questions – and post them in this PollEv with your name! We will (try to) make sense of all of this in class on Thursday. What is the U.S. electoral college and how does it work? Play Win the White House from iCivics or more Electoral College fun … and you can also use some of the sites below to get a better understanding of the Electoral College. Play VoteStar – an Electoral College game for some political fun.